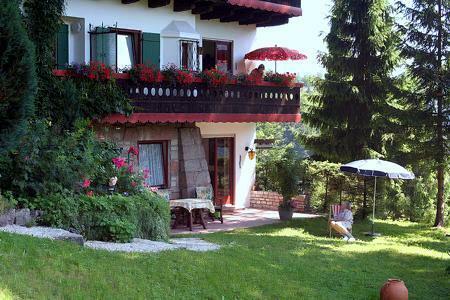 It is only a few minutes walk or drive from Berchtesgaden town centre to Kaelbersteinstrasse No. 44. Passing by our large quiet grounds you get to the sunny, south facing side of Landhaus Kunibert-Hain. 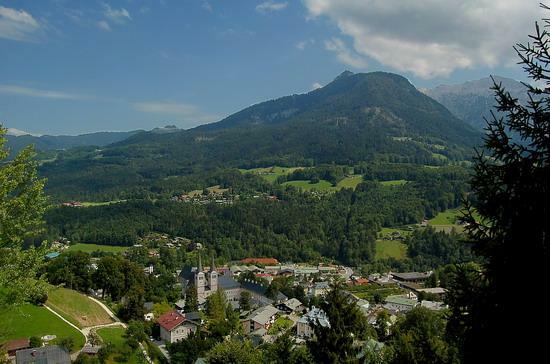 Our balconies as well as patios offer a stunning view over Berchtesgaden with the twin towers of the Augustiner Abbey Church, and then on to the imposing range of peaks from Watzmann to Jenner, Hoher Goell and on to Obersalzberg and Untersberg. It’s a fairytale view, which will fascinate you in every season. Naturally children will prefer the spacious grounds with the playground. 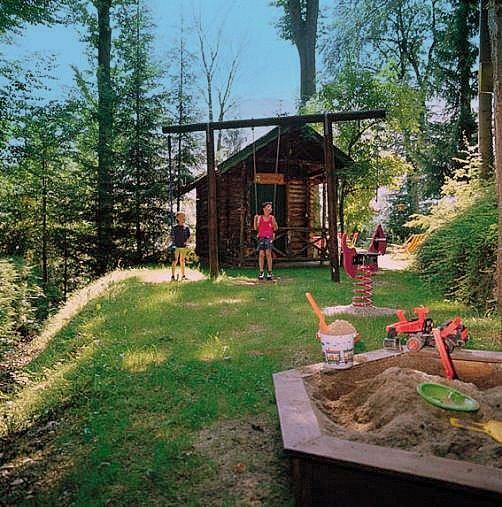 There is a wooden playhouse as well as facilities to play badminton and basketball. In the meantime you will have found the outdoors seating area with a fantastic panoramic view and you might be planning a hiking tour. However, you might find that it is not easy to leave this scenic spot once you have spent some time here. 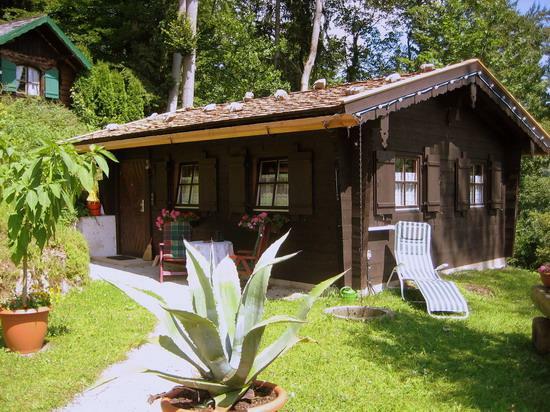 The cabin in the park: Our original Bavarian ‘Kaser’: This separate cabin offers you secluded privacy while you can still enjoy the services offered by us. The ideal location for a holiday for two with views of the grounds. The Kaser combines compact accommodation with smart living – your own private atmosphere while modern technology is still available to you, e.g. Internet access. Looking out from the eastern side of our house you can see the Abbey Church and the Castle as well as the Spa- and Congress Centre of Berchtesgaden. On the left you can see the Rossfeld ski area. Next to the Kehlsteinhaus there are the Hohe Brett and the Jenner, both with inviting pistes. 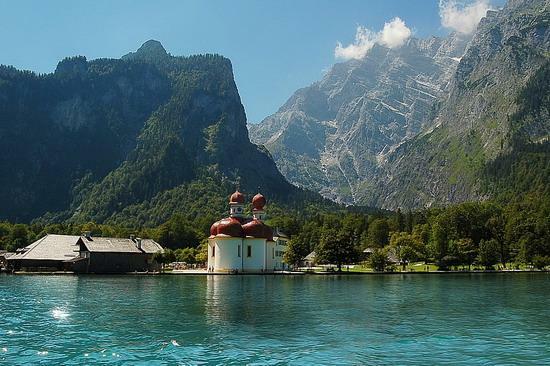 It is only a 5-minute walk to the lovely deer enclosure at the Gasthof Oberkaelberstein..
Visit Lake Koenigssee, Ramsau or the ‘magic forest’. It will be difficult to choose from the many destinations for day trips in the area. The salt mine in Bad Reichenhall offers guided tours and trips into the mountains – fascinating not only for the children. 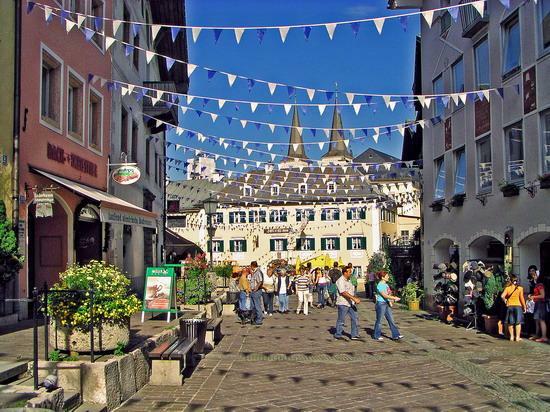 In Bischofswiesen you can admire the largest ’alphorn’ in Germany. The Jennerbahn takes you to the most beautiful panoramas within minutes and the Nationalpark Berchtesgaden with its red deer enclosure is yet another attraction you can enjoy. 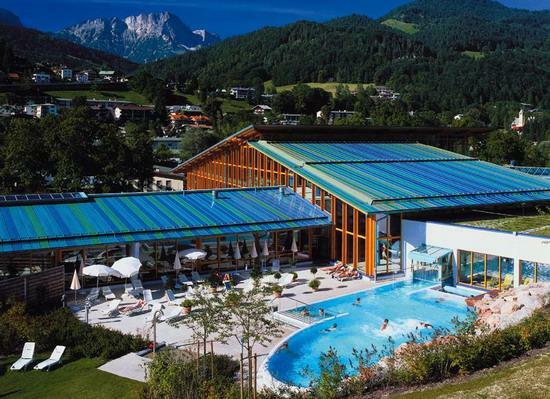 100 % relaxation – After an exhilarating and exhausting hike you can relax in the salt baths, take up one of the many different wellness-programmes or have a go on the ‘black-hole’slide, should you enjoy a bit more excitement – all under one roof at the new Watzmann Therme. The Rossfeld-Road offers stunning views of the alpine landscape of Berchtesgaden and you can also see the Salzach Valley, which lies more than 1000m below with Mozart’s city Salzburg. Visitors see a panoramic view of the imposing mountain massif of the Hoher Göll, the Kehlstein, the Tennen- and Dachstein mountain range as well as the Untersberg and all of Berchtesgadener and Salzburger Land. The Rossfeld-Road is quite easily accessible by car or bus, it is also a favourite route for motorcyclists. 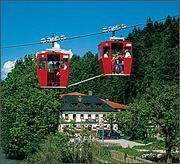 The Berchtesgadener Bergbahn GmbH was founded in 1949 and the Gondola cable car from Markt Berchtesgaden to Obersalzberg-Scharitzkehl was built. Enjoy the Panorama while you are travelling either to or from the mountain station at 1200m within less than 12 minutes. 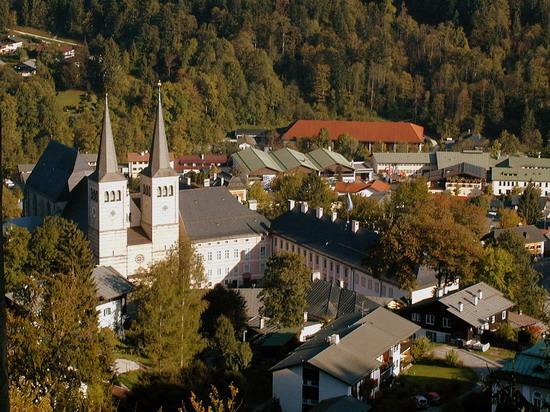 The Abbey Church St. Peter and St. Johannes in Berchtesgaden was built by Augustine Canons. It is a Gothic longhouse with 3 naves. The High Chorus, which was built from 1283 to 1303 is particularly worth seeing. Having been hit by lightning before the towers were re-built in 1886. Inside the marble epitaphs for the Prince Abbots from the 15. and 16. century are especially impressive.